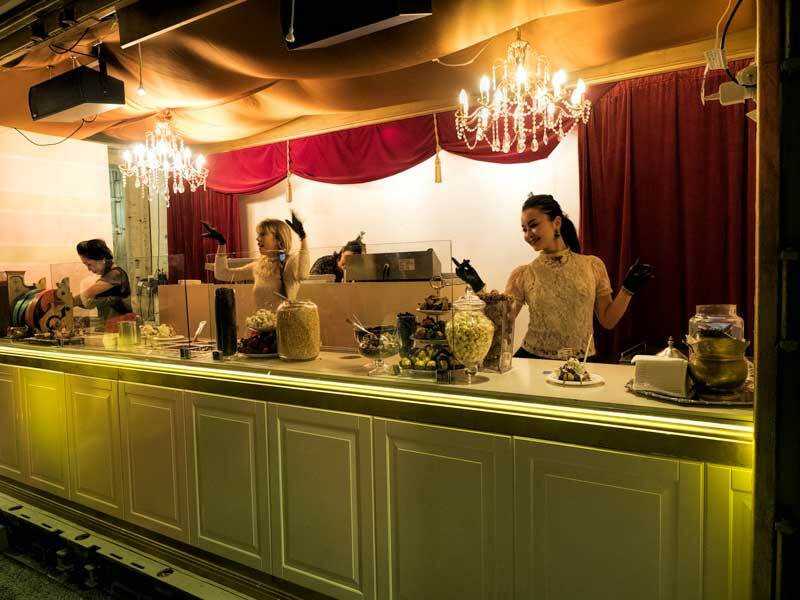 Have you been to NightQuarter, the Gold Coasts newest foodie market? 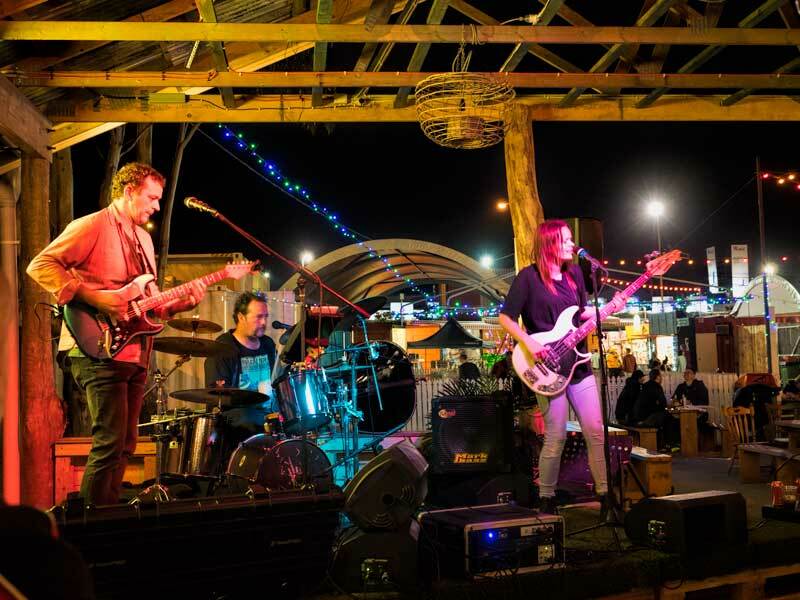 Located in the Gold Coast suburb of Helensvale, NightQuarter is around a 30 minute drive from Surfers Paradise but this market is anything but suburban. It opened in November 2015 after three years of planning. 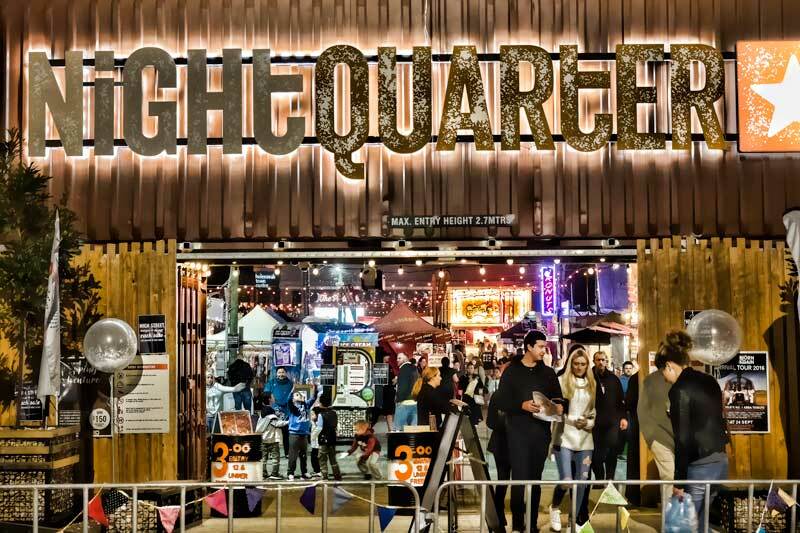 NightQuarter is the brainchild of Michelle Christoe who, seeing the way that food markets in Europe and Asia brought out the whole family in a festival atmosphere, knew that the concept was missing on the Gold Coast. The sunshine state has the perfect climate for outdoor events and outside Australia’s main centres the idea is yet to be widely adopted. The venue is a creative container city. 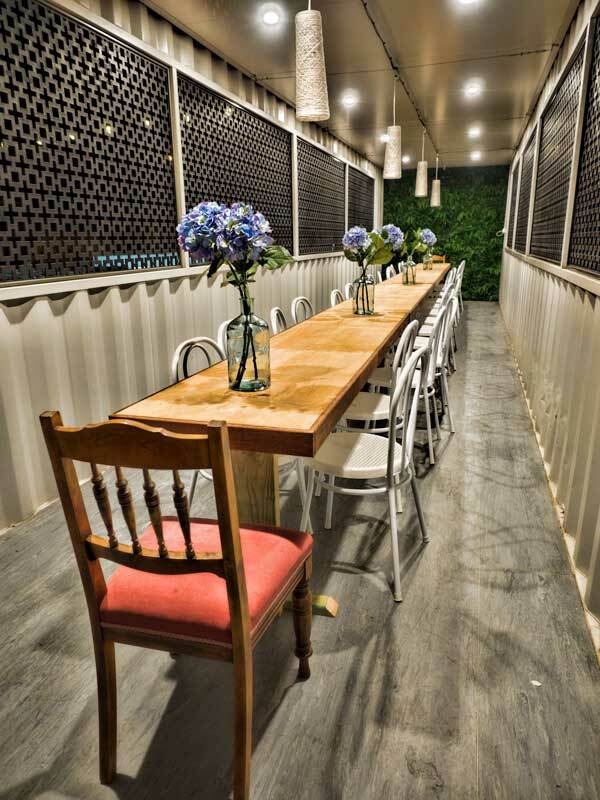 Some are basically decorated while others have been overhauled beyond recognition as the Queensland rail shipping container they started out as. The market is far larger than we originally anticipated and is divided into precincts, streets and alleys to explore. There are two enormous barn like structures, one over the Paddock and one covering a food alley and undercover seating. 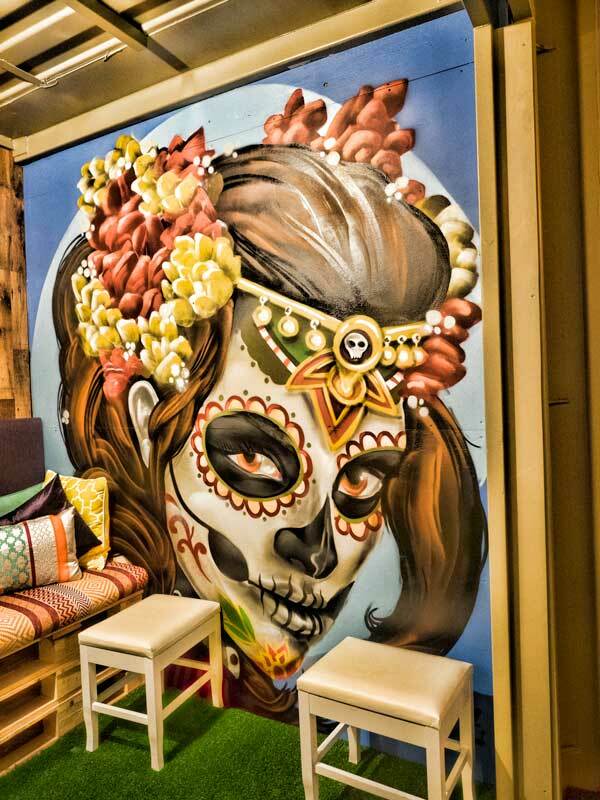 Other areas including the Tapas Street and the Backyard are also undercover. A key component of the NightQuarter concept is that every week is a festival. 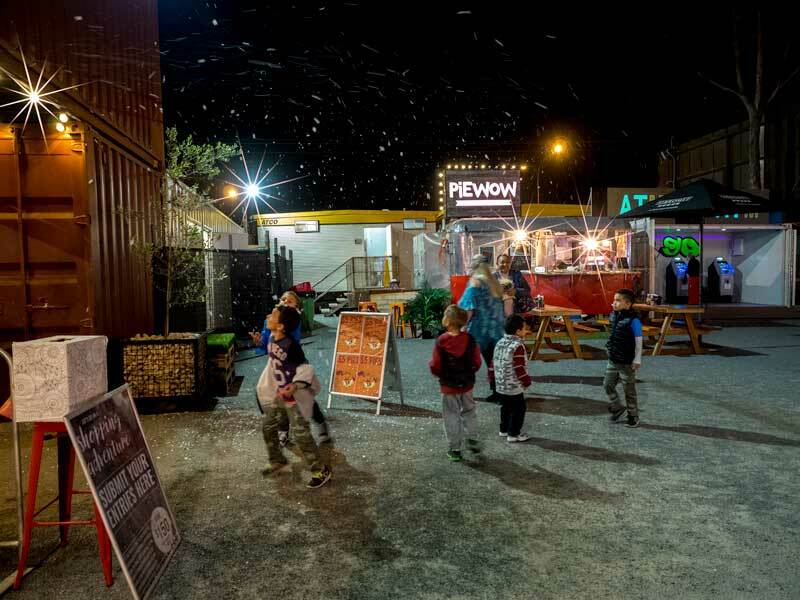 The week we visited was Winter Wonderland celebrating mid winter Christmas with mulled wine, winter warmers and a high chance of ‘snow’. The following weekend Rio Carnivale is due to hit town as we celebrate the opening of the 2016 Olympics from afar. To find out what’s on over the next month you can see the schedule on their site. Over the course of a weekend up to 20 bands will play at the sound stages around the venue, most of them featuring local talent. There’s something for all ages and tastes but our personal favourite this night involved hanging around the XXXX bar for a good portion of the evening listening to covers from 70 bands including the Eagles and Dragon, a band from our NZ homeland. We were invited up to the Gallery, a private function area above the Paddock. 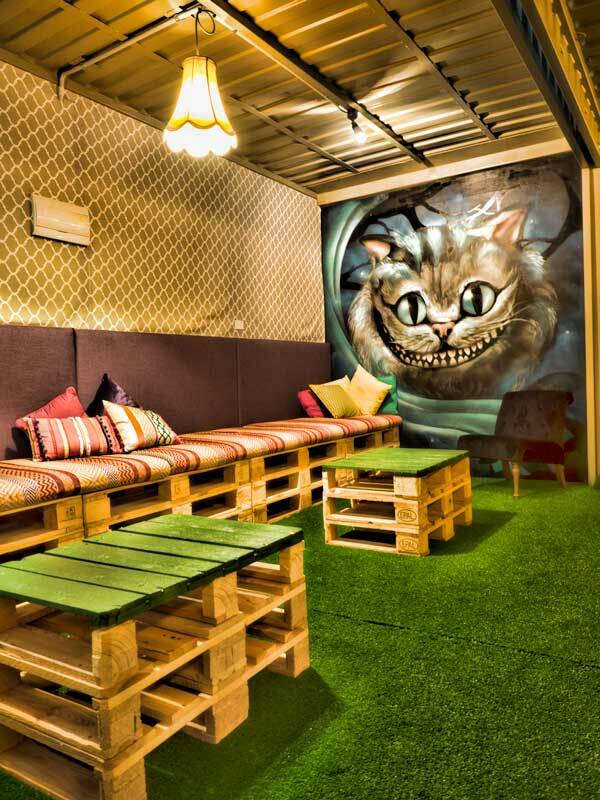 Now that is some creative use of shipping containers! Great artwork up there too from a couple of much loved local artists The Zookeeper and Jay Beez. The design for the function space was another example of local collaboration. Design students from the local TAFE were invited to submit a design concept for the space with the winner chosen by public vote. They then got to oversee their design being bought to life and officially opened, fabulous experience for a student. 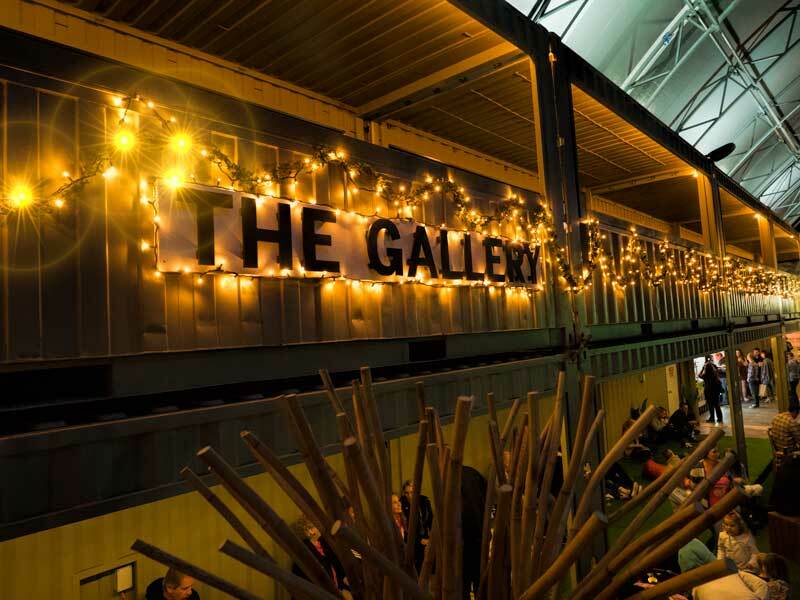 No matter how little you eat during the day you can never fully do a venue like this justice so take as many friends as you can rustle up so you can test out the variety of great dishes on offer. A few notable mentions from the evening. The gnocchi with wild mushrooms and truffle sauce from Gnocchi Gnocchi Brothers in the Tapas Hall. No it’s not photogenic but it’s absolutely crammed full of flavour. The trio of bao from Kemuri filled with Japanese inspired fillings. You need to try the tempura soft shell crab and their bao is super light and fluffy. Divine. You’ll can find Kemuri in the Tapas Hall too. The smoky and delicious lamb and beef skewers from the Backyard BBQ. OMG who do I bribe to get to cook on that grill? The tender and delicious taste sample from the Calamari stand just when I couldn’t fit in one more plate. Never mind, we will be back. The Helensvale train station and bus depot are conveniently located right across the road. If driving is more convenient there’s a heap of car parking available at the train station and the adjacent Helensvale shopping centre. Work is underway to bring the Gold Coast trams also to the doorstep but that’s still a couple of years from completion. Disclosure: We attended NightQuarter as guests of Gold Coast Tourism. As always the article reflects our personal experience and our honest opinion. Ahh cool. I’ve got a friend living at the Gold Coast and I will recommend this post to him! I sadly never made it to the Gold Coast in my time living in Sydney but looks like a lively and beautiful place! This sounds right up my street! I love places that combine delicious & creative food with fun entertainment and live music. Great pictures and post. It’s so inspiring that it made me hungry, so off I go for lunch :). You had me at gnochi and lamb skewers! YUM!!! Thanks for sharing this-I love great markets. Totally my kind of place! It’s sounds super interesting and is so nice that they reserve space for local band showcases. Ohhh, I love a good market and this looks fantastic! I’m itching to get to the Gold Coast and when I do, I’d love to visit this place. Interesting….didn’t know this existed at all. Sounds exactly like Eat St Markets at Hamilton, but how great to have one on the Coast. That looks like a great addition to the Gold Coast. I would definitely go there next time I’m up there. How sad is it that I live just around the corner and still haven’t visited yet. Will definitely have to make time now. They look so good!